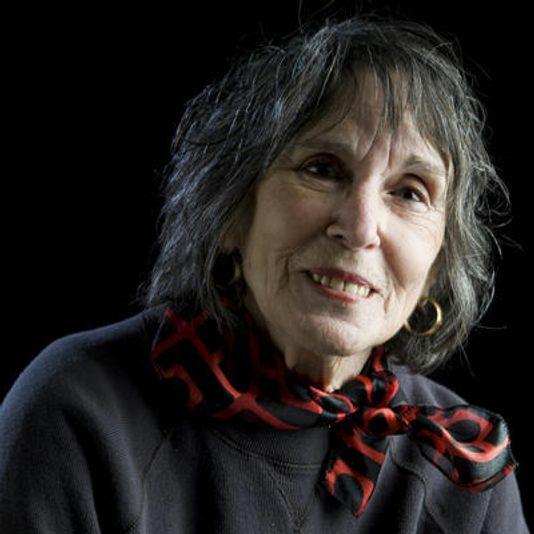 Louisville activist and change maker Suzy Post died at her home on January 2 leaving a legacy of unparalleled accomplishment in fighting for civil rights, reproductive rights and fair housing. Working tirelessly for social change, she inspired women and girls to raise their own voices against injustice and work for positive social change. Former KFW executive director, Judi Jennings said Post helped support the University of Louisville’s Women’s Center, when Jennings was Founding Director. Jennings was struck by her intersectional approach. Nancy Reinhart, a labor and delivery nurse, birth doula and community activist who worked with Post at the Metropolitan Housing Coalition as development and advocacy coordinator, said Suzy played an instrumental role in introducing her to Louisville’s broad and deep social justice community. Reinhart said Post’s reach was broad. “Suzy was tireless in her efforts to use her voice and privilege to raise money for issues that are so central to our ability to build community together, including affordable housing, desegregation, anti-racist activism, freedom of speech and reproductive freedom. And, lucky for us, we got 8 amazing decades of her positive impact!” said Reinhart. Her dealings with Post left a lasting mark. “I still hear Suzy in my head at times when I am trying to figure out the best way forward. She taught me about the responsibility I have as a white married woman with kids to be purposeful about my relationships and my use of white privilege. She stressed the importance of me working hard to reach out and maintain friendships with diverse folks, and bearing the responsibility of action that these friendships require. And, quite frankly, she helped me understand the necessity of just getting over myself, saying things directly, and moving on with the bigger vision of what we can become as a community,” said Reinhart. Joanna Hay and Nieta Wigginton did an interview with Suzy Post for the Kentucky Civil Rights Hall of Fame Oral History Project. Joanna Hay is a musician, documentary filmmaker and sound artist whose work is about social change with a nod to the voices of history. Her production company, www.joannahayproductions.com, specializes in video, oral history, and exhibit design. Hay was struck by the fact that Suzy’s activism bloomed at the same time that she was raising five children. She learned that each woman can play a role within the context and limitations of their lives. “Suzy had connections in the legal and financial world and she used them to support the work that needed to be done on the streets. She needed to be at home with her children when they were young so she did what she could from home. Later she was able to travel and be active on a national level. Suzy’s activism is an inevitable result of her passion for making the world a better place for people whose voices are often never heard,” said Hay. Amber Duke, Communications Director of the ACLU of Kentucky, first met Suzy when she interned as a graduate student with the Anne Braden Institute for Social Justice Research and Suzy helped introduce her to the social justice community. Duke witnessed Post’s influence on Louisville firsthand. “It’s no exaggeration to say that Louisville and Kentucky would not look the same had Suzy not given so much of herself. Her visionary leadership at the ACLU of Kentucky and creation of the Reproductive Freedom Project helped beat back some of the harshest attacks on abortion access. I’m very proud to continue this work on the foundation that she built. Suzy’s steadfast commitment to racial justice lead her to be a plaintiff in Louisville’s school desegregation case, forever changing the way our children can learn together and build relationships across racial/neighborhood lines. Suzy got it when it came to the need for affordable housing, free speech matters, abolition of the death penalty. She not only got it, but she acted for a more just and equitable city and commonwealth,” said Duke.